The West Midlands Police Museum is fund raising to relocate to the Lock-up, preserving this historic building and ensuring our vast heritage collection can be made more accessible and enjoyed by everyone. We also aim to deliver inputs on current policing messages to young people - e.g. knife crime, drugs, online safety and child sexual exploitation. By celebrating our joint heritage, we also aim to build bridges with different communities across the West Midlands. Funding cuts to policing in the UK mean that West Midlands Police can't support our project financially. 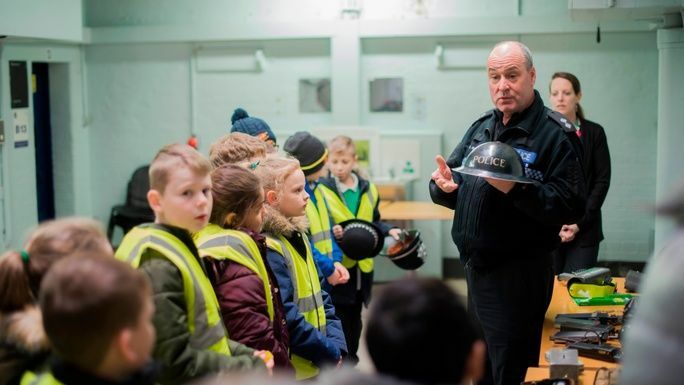 We are having to fundraise ourselves to generate the funds to relocate the police museum and relaunch it, with a huge engagement programme targetting young people to ensure they are educated on the social impact of crime, the dangers of drugs and carrying knives, how to be safe online etc. The £50,000 we aim to raise from this fundraiser would be split equally between COPS and the West Midlands Police Museum and would be a fantastic contribution to our project. You get to spend the night in the Steelhouse Lane Lock-up, a Victorian mini-prison steeped in history. For 125 years prisoners stayed here, but they were not allowed to roam the floors and walkways through the night. Many paranormal investigations have taken place here since the building closed, with significant activity being reported. This fundraiser is part of the "Lockup Lockin" campaign. Together with other fundraisers, they've raised £6,059 so far!